Will the US Government go on partial shutdown? The U.S. government was headed to a partial shutdown unless President Donald Trump and Congress can cut a deal on Friday on their long-running battle over Trump's demand for a wall on the border with Mexico. Funding for a range of federal agencies is set to expire at midnight on Friday. Trump pushed Republican allies in the House of Representatives on Thursday to use the short-term funding bill as leverage to force through $5 billion for the border wall despite Democratic objections. 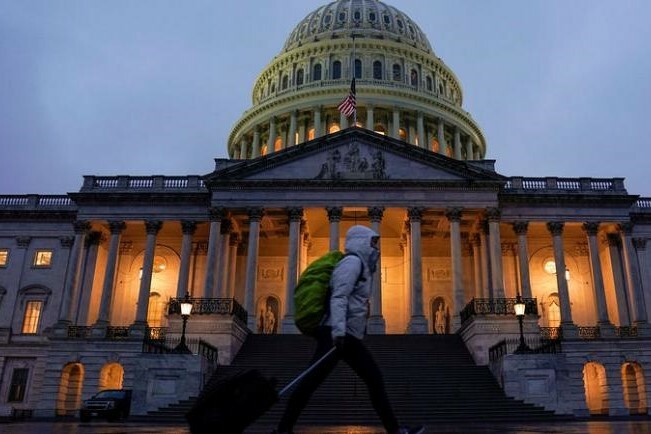 Following the House's vote on Thursday night, Appropriations Committee Chairman Rodney Frelinghuysen said, "I now urge the Senate to pass this continuing resolution and prevent a government shutdown." The Senate is expected to reject that legislation – leaving the government without the needed funding for agencies including the Department of Homeland Security, the Justice Department and Agriculture Department, which would have to pare staff down to those deemed "essential" to public safety. Three-quarters of government programs are fully funded through next Sept. 30, including those carried out by the Defense Department, Labor Department and Health and Human Services. But on Thursday afternoon, Trump summoned the House of Representatives' Republican leaders to the White House and insisted that deal be scuttled. The House late on Thursday did just that when it bowed to Trump's demand that any temporary funding bill include wall funding. If that measure is put to a vote in the Senate, Democrats there have pledged to prevent it from getting the votes it needs for passage. “The bill that’s on the floor of the House, everyone knows will not pass the Senate,” Senate Democratic Leader Chuck Schumer told reporters late on Thursday. It was not yet clear what would happen in that case. The partial government shutdown could begin, or lawmakers could work to find a solution that Trump finds acceptable. Trump believes the border wall is a winning issue for his 2020 re-election campaign and said last week in a White House meeting with Democratic congressional leaders that he would be "proud to shut down the government for border security." Republicans worry about that too and some tried on Thursday to shift the blame to Democrats. "Chuck Schumer and Senate Democrats now have to decide whether it is worth shutting down the government to keep us from securing our border," said Kevin McCarthy, the leader of Republican lawmakers in the House. Workers in the government departments affected will still perform their duties if their work is deemed as essential. The Department of Homeland Security, for example, would run out of funding on Friday if Congress and Trump do not act, but its border agents and those working in the interior of the country would still be on the job because their work is deemed essential. Workers classified as not essential to public safety at the unfunded agencies would be put on temporary leave. Both they and essential employees would not get paychecks until the dispute is resolved. Democrats take control of the House of Representatives on Jan. 3 following their victory at midterm elections last month. House Democratic Leader Nancy Pelosi will almost certainly be the new speaker of the House and would likely push through a new temporary funding bill without any money for Trump's wall, hoping the Republican-controlled Senate would accept it.